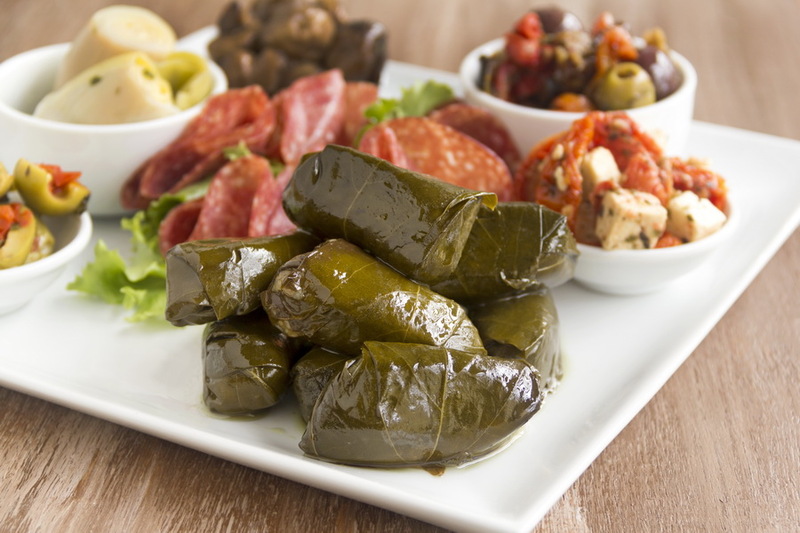 Dolmades (singular dolma) are often served as part of meze. 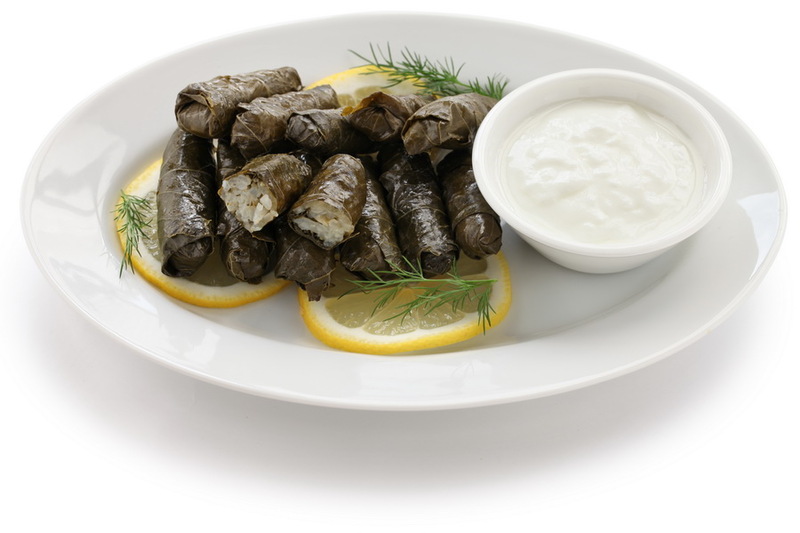 They are grape leaves (vine leaves) stuffed with rice, pine nuts and seasonings, or with ground meat (lamb), pine nuts, fresh mint and seasonings. As Spanish have their tapas, so Greek have their meze – small appetizers which can be a meal in itself.